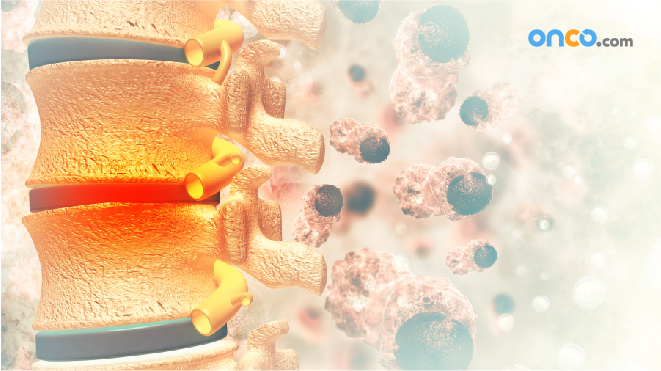 When cells in the bone begin to divide uncontrollably, they are called bone cancer. It can affect any bone in the body but it is most commonly found in the thigh bone, knee bone and other long bones in the body. It mostly affects children and young adults. The nature of cancer can be suspected based on the type of destruction seen on an X-ray. 1. Benign bone tumors are more common than malignant bone tumors. 2.There are a number of different bone cancer types. 3. Early symptoms might include pain in the affected area. 4. 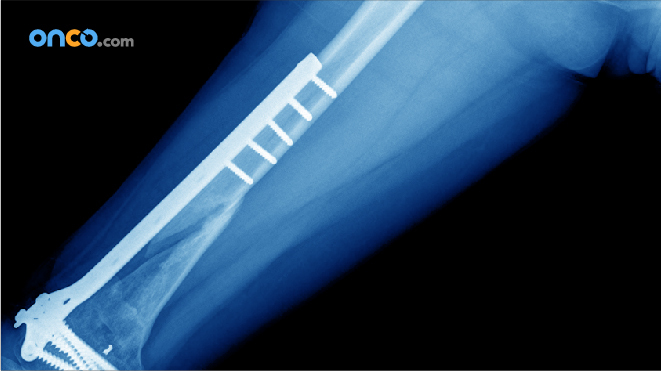 A range of diagnostic tests can help diagnose bone cancer. 5. Radiotherapy, chemotherapy, and surgery can all be used to treat bone cancer. While doctors are not sure about the precise causes. There may also be differences in the reason for the disease from person to person. Scientists still try to make out links to a number of other conditions which are elaborated in the risk factors section. Yet, it has been reported that a majority of people with bone cancers have no history of any known risk factors. Research and development in the field is in progress. Doctors and scientists have no doubt made leaps in understanding how changes in an individual’s DNA can cause normal cells to become cancer. The instructions for any cell activity is carried by DNA. A child’s resemblance to a parent is on account of the genes that are passed n. And this may be the reason why some people are prone to developing certain diseases including some kinds of cancer. DNA comprises units of genes. Genes carry the recipes for making proteins that determine and specify the functions of different kinds of cells. Some genes might have cell growth or division instruction. It might be useful to mention that genes that promote cell division are called oncogenes and genes that slow down cell division or make cells die at the end of their cycle are called tumor suppressor genes. They are a result of mutations during the person’s lifetime. These mutations may stem from exposure to radiation or cancer-causing chemicals. More often, they occur for no validated reason. These mutations are not transferable by genes and are therefore not inherited by children of the individual affected. Scientists work even this instant to gain better access and agency in understanding the causes of cancers to be able to find a way to prevent or treat them better. The risk is very negligible. If it does occur it is usually 10-20 years after having radiotherapy. People previously treated with certain chemotherapy drugs might have an increased risk of developing osteosarcoma. Paget’s disease of the bone is a benign condition that causes painful and deformed bones. 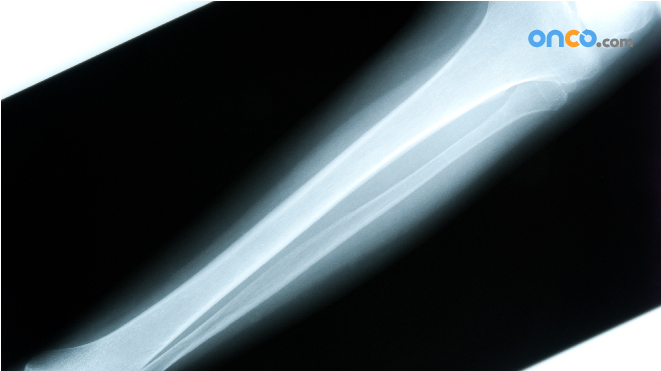 This may increase the risk of developing osteosarcoma and largely affects people over 60. A non-cancerous bone tumor-like osteochondroma (or chondroma) can sometimes develop into chondrosarcoma. Also, people with hereditary exostoses (HME) have an increased risk of developing chondrosarcoma. HME is a rare condition that causes lumps to grow most commonly in the limb bones. This condition mostly shows appearance in childhood but not in all cases. It is inherited by people who have a close relative who has bone cancer. 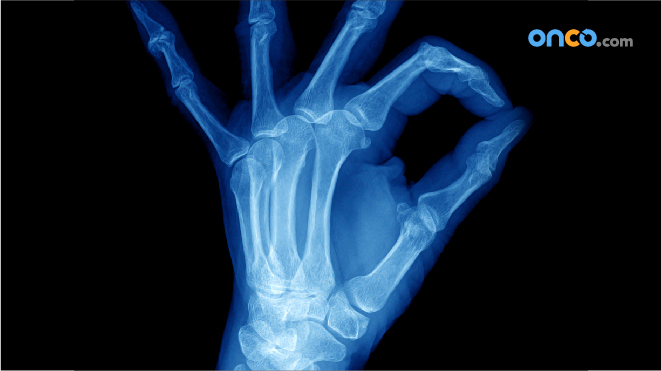 People who have inherited a gene that is maladaptive to the bones may run the risk of developing bone cancers. Retinoblastoma is rare eye cancer that children are susceptible to inheriting. Mutations here may result in individuals developing soft tissue sarcomas. Radiation therapy used as a treatment for retinoblastoma increases the risk of osteosarcoma. Despite this, there are examples of of non-inherited genes whose defects have not been discovered yet. Bone Marrow transplant is a procedure that removes a diseased part of a bone which have been destroyed by infection or chemotherapy. At such cases, there has been an increased risk for developing bone cancers. 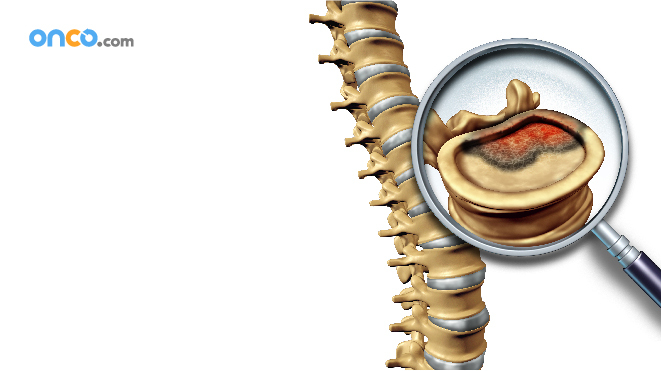 Cancer in spinal bones can cause numbness or a tingling sensation. It may cause weight loss and fatigue. Imaging tests and blood tests might suggest that a person has bone cancer. In most cases, however, doctors confirm this through a biopsy, which is a procedure that tests a tissue or cell sample by checking it under a microscope. Accurate diagnosis of bone tumors include the combination of information on the bone affected, then part of the bone involved, X-rays and a biopsy. Yet, other diseases like bone infections can cause symptoms and imaging results that can be misdiagnosed as cancer. 1. X-ray: A diagnostic test that uses invisible electromagnetic energy beams to make images of internal tissues, bones, and organs onto film. 2. Computed tomography scan (also called a CT or CAT scan): This is an imaging test that uses X-rays and a computer to make detailed images of the body. A CT scan shows details of the bones, muscles, fat, and organs. 3. Magnetic resonance imaging (MRI): A diagnostic procedure that uses a combination of large magnets, radio frequencies, and a computer to make detailed images of organs and structures within the body. 4. Positron emission tomography (PET) scan: An imaging test in which radioactive-tagged glucose (sugar) is injected into the bloodstream. Tissues that use the glucose more than normal tissues (such as tumors) can be detected by a scanning machine. 5. Biopsy: A procedure in which tissue samples are removed (with a needle or during surgery) from the body for examination under a microscope. This is done to determine if cancer or other abnormal cells are present. 1. Physical Examination: Doctors inspect lumps in the body and look for abnormalities. 2. Laboratory Tests: Urine and blood tests help identify abnormalities caused by cancer. 3. 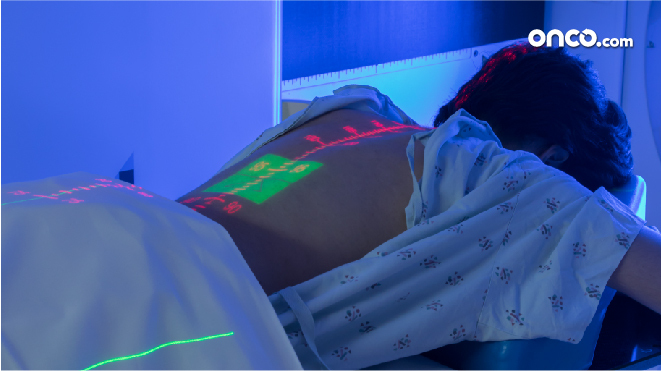 Imaging tests: (Further elaborated in Screening Tests) Imaging tests used in diagnosing cancer may include a computerized tomography (CT) scan, bone scan, magnetic resonance imaging (MRI), positron emission tomography (PET) scan, ultrasound, and X-ray, among others. 4. Biopsy: Samples of cells are collected and viewed under a microscope lens. This usually depends on where the cancer is located in the bones. While normal cells look uniform and equally sized, cancer cells vary in sizes without apparent organization. 1. Cure: The aim is to cure the individual of the disease. But this may or may not be possible depending on the case. 2. Primary treatment: This implies surgery which is the removal of cancer cells by operative manual and instrumental techniques. 4. Palliative treatment: Palliative treatment is used to relieve symptoms and improve quality of life. There are three main types of cancer. A malignant bone tumor that arises from cells of the cartilage either from the normal bone (primary chondrosarcoma) or in a pre-existing cartilaginous tumor-like enchondroma (secondary chondrosarcoma). It may arise from any bone but is common in flat bones such as ribs, scapula, and ribs. This is a highly malignant tumor that is more common in teenagers and young adults but can occur in any age. Bones affected: It commonly occurs in long bones like the femur and tibia, and less commonly in flat bones like the pelvis and the calcaneus. Occasionally, it is known to have a multicentric origin. Site: It may begin anywhere but diaphysis of the long bone is most common. It is the second most common bone cancer and first most common primary bone tumor. It is a highly malignant primary bone tumor. It is defined as a malignant tumor of the mesenchymal cells, characterized by the formation of osteoid or bone by the tumor cells. Age at onset: These tumors occur between the ages of 15-25 year, constituting the commonest musculoskeletal tumor at that age. Common sites of origin: In decreasing order of frequency these are: the lower-end of the femur; the upper end of the tibia; and the upper end of the humerus. However, any bone in the body may be affected. When osteosarcoma develops in a bone affected by a premalignant disease (like Piaget’s or Enchondromatosis) it is known as secondary osteosarcoma. It is less malignant and affects people older than 45 years of age. Treatment is similar to mainstream osteosarcoma. This arises from the region of the periosteum. It occurs mostly in adults and is a slower growing tumor. Treatment is similar to osteosarcoma but the prognosis is preferable. Researchers continually strive to find more comprehensible information, better imaging devices, and new techniques of treatment of cancers. Although there is long way to go in the field of research and medical technology, they have still made commendable progress in the field. Diagnosis is perhaps the most crucial aspect before setting out to treat a disease. Find out what screening options are available for the diagnosis of bone cancer.